Diverse organizations such as Google, Aetna, Intel, the Seattle Seahawks and General Mills all have something in common. All of these companies provide mindfulness training to their employees. Mindfulness is an awareness of the present moment, without judgment—a noticing of what is arising. Since the workplace is more fast-paced and competitive than ever, many companies are increasingly turning towards the practice of mindfulness to help their employees deal with the stresses of the workplace environment. It is no secret that college students today are facing more stress than ever. Between the pressure to do well in school, work, and maintaining relationships, students experience a number of circumstantial and emotional stressors each day. Anxiety disorders have become one of the most common health problems on college campuses. This heightened state of stress makes it hard to focus on tasks such as taking tests and completing projects. Finals week is coming and for students that means studying, writing papers, and feeling stressed. In fact, Mental Health America calls it “the most stressful time of the year for college students.” To combat this, students can do the obvious things like exercise to clear their head, eat a well-balanced diet for energy and brain power, and establish a to-do list with priorities. In my classes, I often talk about how mindfulness and meditation are not spa-days. People sometimes arrive to a meditation with the expectation that I will make them happy with magic meditative guidance. Apologetically I inform them that this is not the practice of meditation. November 30, 2017Fake News: MBA programs are in the midst of an existential crisis! There’s been a rash of articles recently talking about the demise of an MBA degree but before removing those hallowed letters from your resume or enrolling in a Master’s of Fine Arts program instead, read this. To be clear, much is happening in the MBA world, and not all of it is good news for higher education providers. It’s true that a half dozen or so programs have either closed or are considering closing their full-time MBA programs. Wake Forrest and Virginia Tech shook the industry years ago with closure announcements and, more recently, the University of Wisconsin unveiled plans to end its full-time MBA program only to retreat from its decision after an uproar from their alumni. Many other schools are no longer planning for the growth of their full-time MBA programs. October 11, 2017Stop the world. I want to get off. Unplugging is a familiar refrain among today’s professionals, yet few know how to accomplish it or why it’s so important. When disconnecting isn’t an option, many professionals substitute small respites with friends and family. Millennials maintain that work-life balance is non-negotiable when considering a new job but then struggle to balance the demands of their budding careers with their desires for a standard of living nurtured in a period of economic prosperity. While work-at-home jobs are the poster child of family-friendly HR policies, finding the right work-life balance has long been key to personal and professional fulfillment. Among the most valued credential for today’s aspiring business professional is feeling comfortable in your own skin. And yet when you look at the core courses of an MBA program, you’re hard-pressed to find a required class on emotional intelligence, collaboration, creativity, or leadership. To be sure, soft skill courses have long been a staple of second-year electives, but their importance has never been greater. When students returned to campus this fall they were greeted by the news that Ramapo College ranked as the top Public College in NJ and third among all colleges and universities in the state, behind Princeton University and Stevens Institute of Technology. 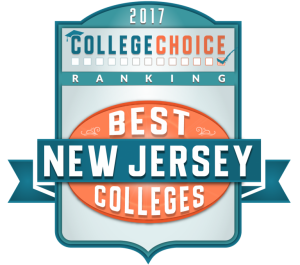 While this news is no surprise to our alumni, it’s nice to have the official designation, courtesy of College Choice’s 2017 annual survey of the Best Colleges in NJ. News of Nokia’s foray into digital bathroom scales is a stark reminder of the difficulties of staying on top. For those with fond memories of Nokia’s iconic mobile “brick” phones, the image of this former superpower embarking on a consumer electronics comeback is evidence of what economists call capitalism’s creative destruction. Many of today’s Millenials remember little of Nokia’s 14-year run as the market leader. In 2000, Nokia was the largest handset company in the world with a market cap of $250 billion compared with Apple at just $15 billion. In 2014, shortly after the sale of its mobile devices division to Microsoft, the slumping company stopped selling phones altogether. Today, Apple tips the scales at approximately a $770 billion market cap while Nokia, in its latest incarnation as a provider of telecom equipment and fledgling consumer electronics, is valued around $32 billion. What happened?